Surviving Changi E E Colman. Type: BOOKS. Detail: Urcan, O. Product Code: 9789810579227. Category: HISTORY. Publisher: Singapore Heritage Society. 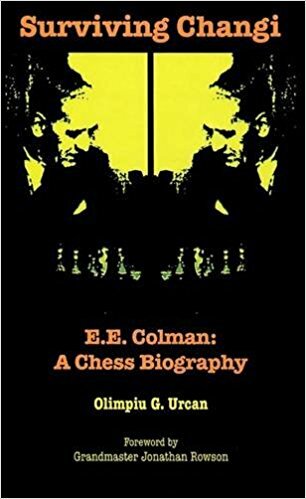 A chess biography of Ernest Eugene Colman (18781964), chess expert, civil servant and doyen of Singapore's chess community. Today Colman's name is primarily associated with a variation of the old Two Knights' Defence named after him the Colman Variation. While Colman never reached the highest peaks in world chess, his contribution to the development of chess as a serious sport in Singapore and Malaya was remarkable. In the prewar years, Colman was Singapore's top chess player and leading chess light. He reorganized the Singapore Chess Club and was its President for decades. More importantly, he saw chess and football as a way to bridge the gap between the various races in Singapore. During the Japanese Occupation (19421945), Colman was interned at Changi as a civilian internee. He taught chess to his fellow inmates as a way to keep their mind off their hardships and even wrote a secret chess manual which was smuggled from camp to camp. This book is in two parts. The first chronicles the life and time of Colman while the second contains all important and recoverable games Colman played. Hardback, 349 pages.